Jim is an owner of the company and is involved in business development and long range planning. He has been actively involved in real estate acquisition, management, brokerage, and finance since 1977. As a principal, he has been involved in the acquisition and management of over 100 multi-family properties. 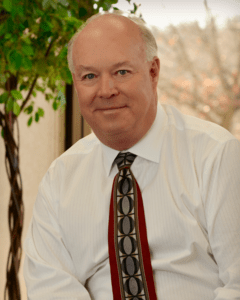 Throughout his career, Jim has been involved in all aspects of commercial real estate including the redevelopment of office buildings and multi-family real estate, a new development of multi-family properties, as well as retail property ownership. Jim is a graduate of Central Missouri State University, where he received a B.S. in Business Administration and Marketing.